The "Century Wings" range presents highly-detailed, ready-made diecast models of military aircraft. We were born in Tokyo, Established 2006 Nov. 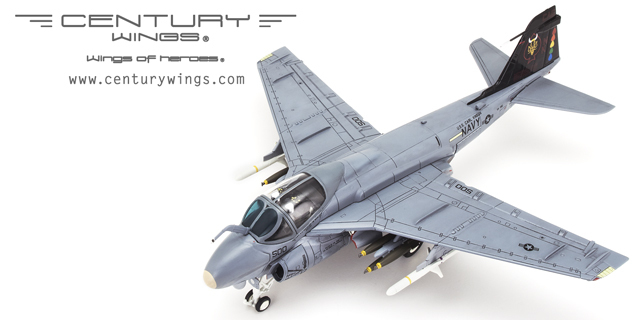 The CENTURY WINGS range presents highly detailed as No.1quality ready-made diecast model of military aircraft. Our mission is to get the No.1 position of all over the world. This web page announcement is for new release information only, not for order or purchase. Please kindly contact your local Century Wings distributors for purchase if you are interested in our models. F-14A TOMCAT U.S.NAVY VF-84 JOLLY ROGERS AJ203 1978 page published. F-14A TOMCAT U.S.NAVY VF-1 WOLFPACK NE100 1991 page published. A-6E INTRUDER VA-196 MAIN BATTERY NK500 1996 LAST CRUISE page published. F-8E CRUSADER U.S.Marine Corps VMF(AW)-212 LANCERS WD106 1965 September 2017 Release. SR-71 Blackbird U.S.A.F 9th SRW 61-7979 1990 "NIGHT HAWK" June 2017 Release. F-14A TOMCAT U.S.NAVY VF-84 JOLLY ROGERS AJ203 1978 (Normal Version) February 2017 Release. F-14A TOMCAT U.S.NAVY VF-84 JOLLY ROGERS AJ202 1978 (Normal Version) February 2017 Release. F-14A TOMCAT U.S.NAVY VF-41 BLACK ACES AJ100 1978 USS NIMITZ (Flap & Slat Down) November 2016 Release. F-14A Tomcat U.S.Navy VF-84 JOLLY ROGERS AJ200 1978 USS NIMITS (Flap & Slat Down) August 2016 Release. F-14A Tomcat U.S.Navy VF-114 Aardvarks USS Kitty Hawk NH105 1978 April 2016 Release. Reborn F-14A VF-84 Jolly Rogers 1978 1/72 scale. F-14D Tomcat U.S.Navy VF-213 Blacklions 2006 Final Cruise December 2015 Release. F-14D Tomcat U.S.Navy VF-31 USS Theodore Roosevelt 2006 Tomcatters June 2015 Release. CW001614 F-14B VF-102 Diamondbacks paint color corrected. 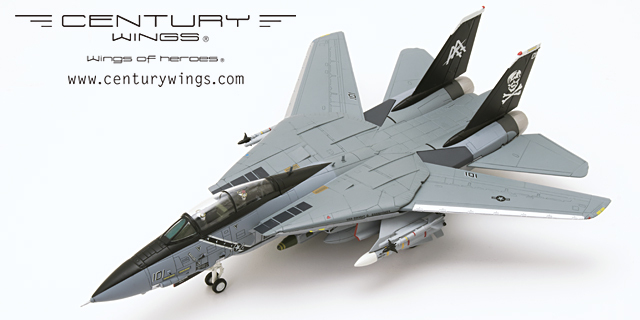 F-14B Tomcat U.S.Navy VF-102 Diamond backs AB102 2001 February 2015 Release. F-14B Tomcat U.S NavyVF-154 Black Knights and VF-103 Jolly Rogers October 2014 Release. CW-001613 F-14B Tomcat Jolly Rogers "Santa Cat" (Kneeling Version Flap & Slat Down) special Christmas package & premium card. The original clear stand will be remained. 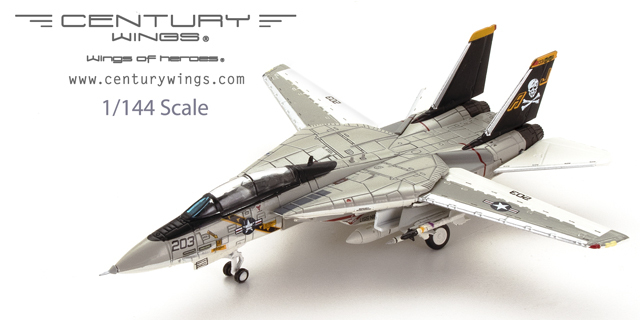 F-14B Tomcat US Navy VF-103 Jolly Rogers AA103 2000 "Santa Cat" November 2014 Release. New stands for F-14 and SR-71 1/72 scale models. 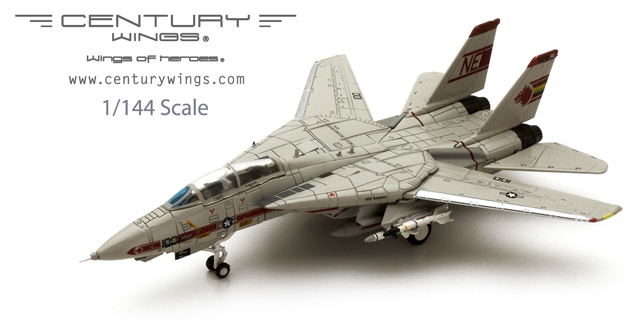 F-14B Tomcat U.S Navy VF-11 Red Rippers AG200 2004 August 2014 Release. 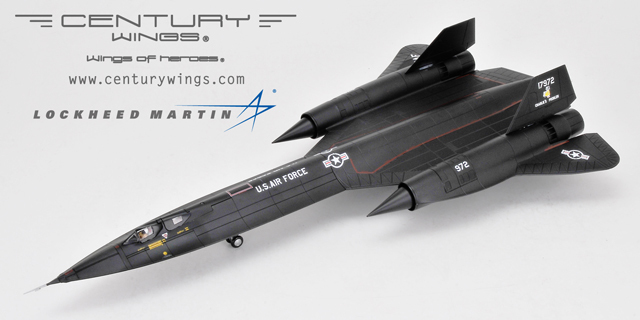 SR-71 Blackbird U.S.A.F 9th SRW 61-7962 1990 September 2014 Release. SR-71 Blackbird U.S.A.F 9th SRW 61-7962 Mid 1980s "Skull & Crossbones" July 2014 Release. The specified red color of the new F-14B VF-101 Grim Reapers AD101 TOMATO is finally settled and done. F-14B Tomcat U.S.Navy VF-101 Grim Reapers AD101 1995 TOMATO Release. 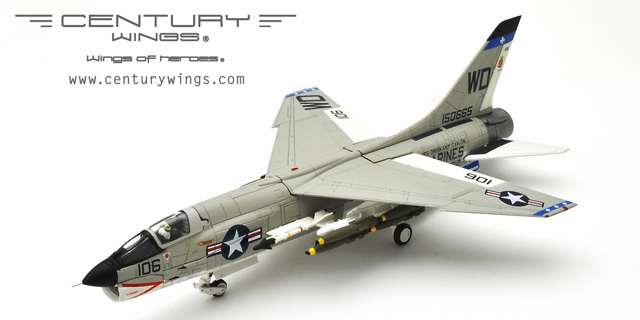 A-7D CORSAIR II 162 TFS, 178 TFG Ohio ANG November 2013 Release. A-6E VA-75 Sunday Puncher& KA-6D U.S Navy VA-145 Swordsmen Release. F-14A TOMCAT VF-1 WOLFPACK release has been postpone to January 2013. SR-71 Blackbird U.S.A.F 9TH SRW61-7972 1975 "Charlie's problem"
This website uses Google Analytics for site analysis and improvement. When accessing this website, cookie is used for data collection and non-personal information such as IP address is sent to Google automatically from your browser. This information is collected anonymously, it does not identify individuals. The collected information is used only for the purpose of analyzing the usage situation and improving the quality of the site, and it will not be used for other purposes. Please note that the users of this website are deemed to have given permission for the collection and use of data conducted in the above mentioned methods and purposes. If you do not agree the above information collection, you can disable cookies in your browser. For details, please check the setting and help of your browser. For information about how Google collects and uses accessed information, please refer here.